Sanchez would go next. The unanimous believe has been that his next move would see him reunite with his former coach Pep Guardiola at Manchester City. Infact, the Chilian almost moved to the club on the last day of the summer transfer window for 60million pounds but was stopped as Arsenal couldn't secure a replacement for the forward. Fast forward six months, and the Saga has taken so much turn and twist, it looks like a soap opera. City running away with the league, as well as the form of their attackers has probably dulled their interest in the striker, and it might have ignite it in others - Manchester United and Chelsea in particular. Manchester City seem reluctant to pay over the odds for someone who has just 6 months remaining in his contract, while Manchester United, in a bid to pip City to something seems desperate enough to not mind about the money. According to reports, Arsenal want Mkhitaryan as part of the deal, and United also wants the player to move. The issue remains if the player is interested in the swap. With City withdrawing and taking a back seat and not pushing for the deal, Champions Chelsea have also joined the queue, creating a bidding war that is only likely to push the fee higher. Gunners are looking at Bordeaux and Brazilian winger, Malcom, as well as BVB forward Aubameyang as possible replacement for the Chilian. 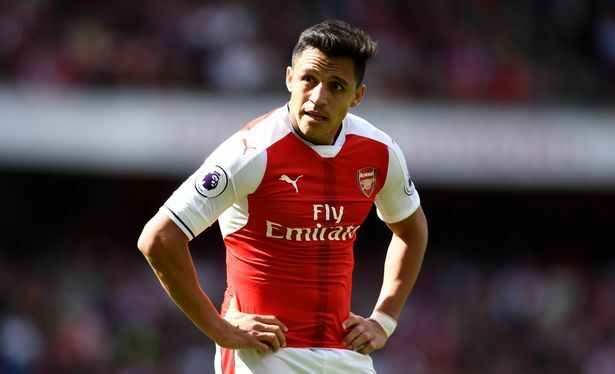 It isn't sure where Sanchez will end up, but the press are having a field day with it.